Please note: This post may contain affiliate links which means that if you click through them and make a purchase we may be financially compensated. We just thought you should know. 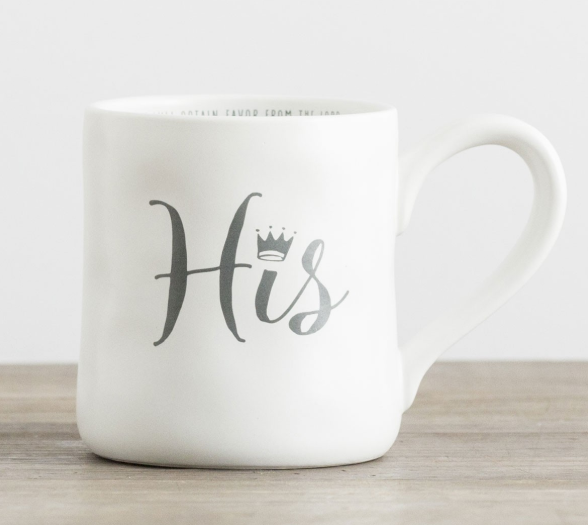 DaySpring currently has a Hers and His hand thrown mug that we think would make pretty adorable gifts. 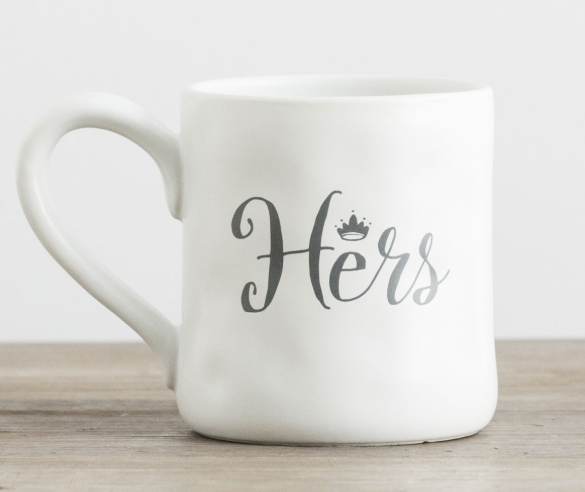 Add a gift card for coffee and plan a date to your favorite coffee shop OR make a fresh pot at home and serve it up in style – either way, you’ll score major points for the romantic gesture. Currently, these mugs are on sale for $5 each, making this a great find! 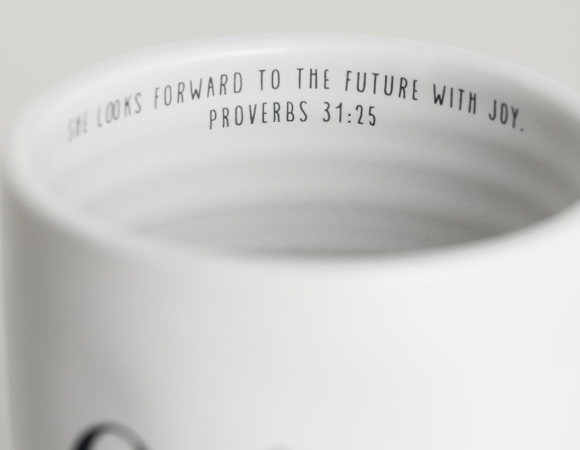 Each mug additionally features a scripture along the inner rim of the cup. 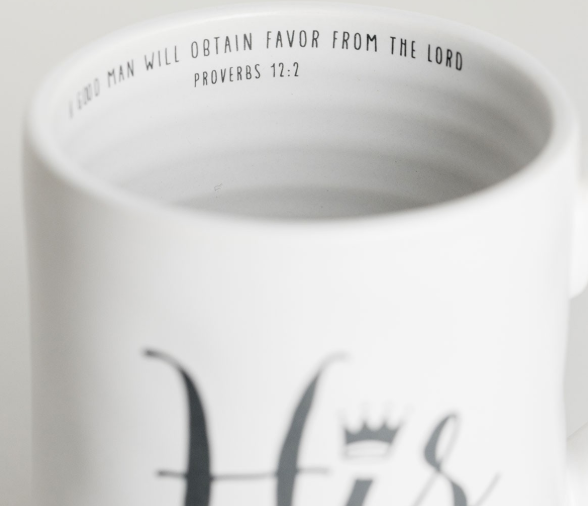 These beautiful mugs each have a capacity of 12 oz. and are dishwasher and microwave save. Unfortunately, shipping on this order isn’t free unless you end up bundling this purchase with something else. Orders of $50 or more receive free shipping.